September 13, 2010  Many Americans know Seu Jorge as the melancholy singer performing mesmerizing David Bowie covers in the movie The Life Aquatic With Steve Zissou. 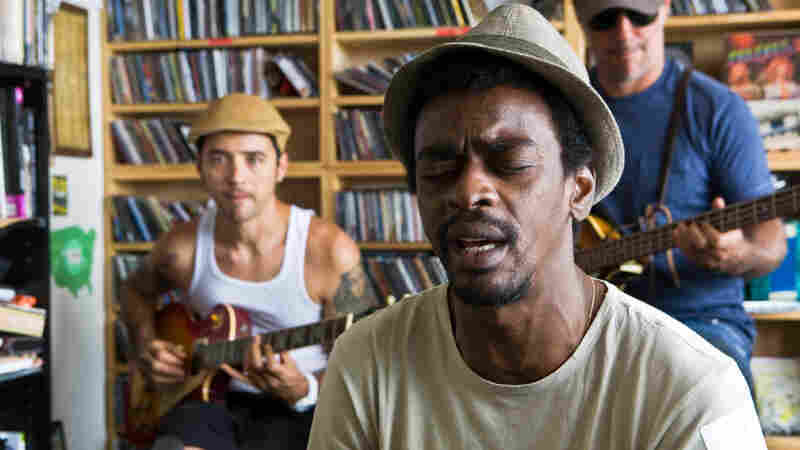 In his new project, with his band Almaz, Seu Jorge is far more versatile. 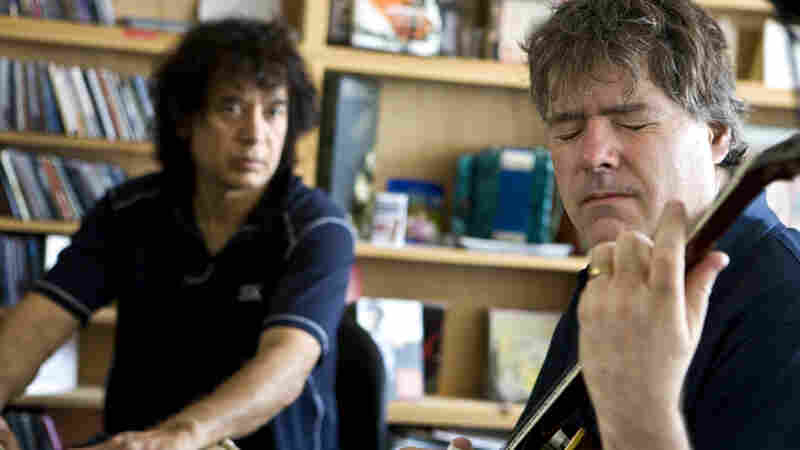 Jorge feeds off the audience's energy in this concert at the NPR Music offices. 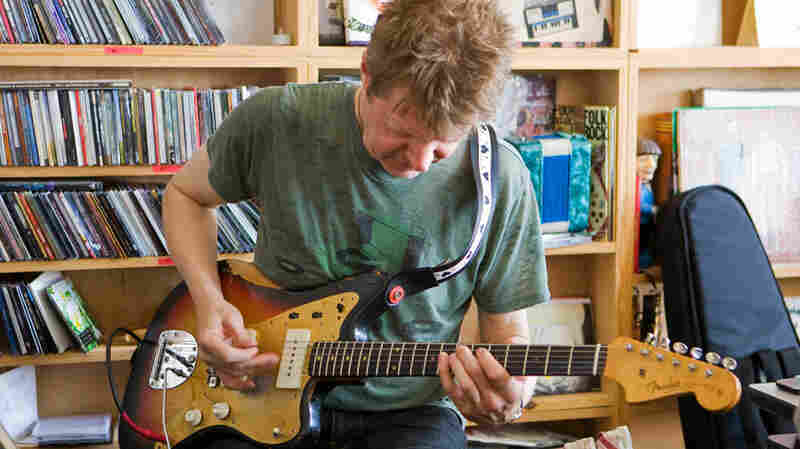 September 7, 2010  The preposterously skilled and adaptable guitarist is best known for his nasty solos with Wilco. He's also part of the underground rock and jazz scenes, where he makes challenging, expressive music. August 30, 2010  Tijoux is proof that hip-hop knows no boundaries. 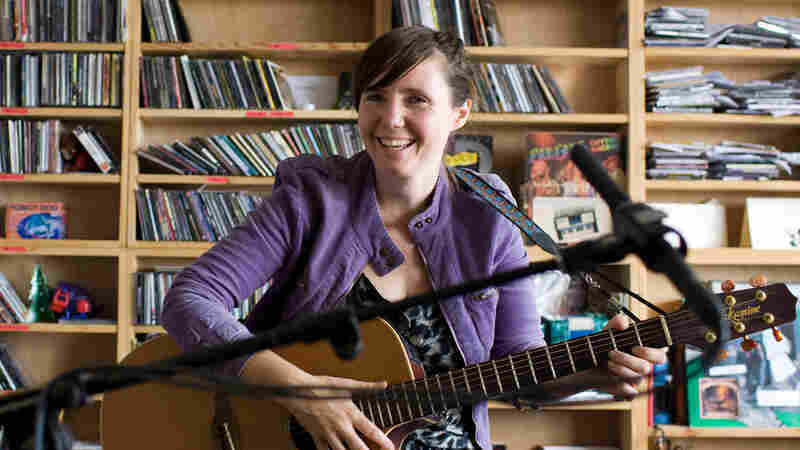 In this intimate performance at the Tiny Desk, the French-born Chilean rapper held a mid-afternoon crowd enthralled with her rhythmic flow and songs from her most recent album, 1977. 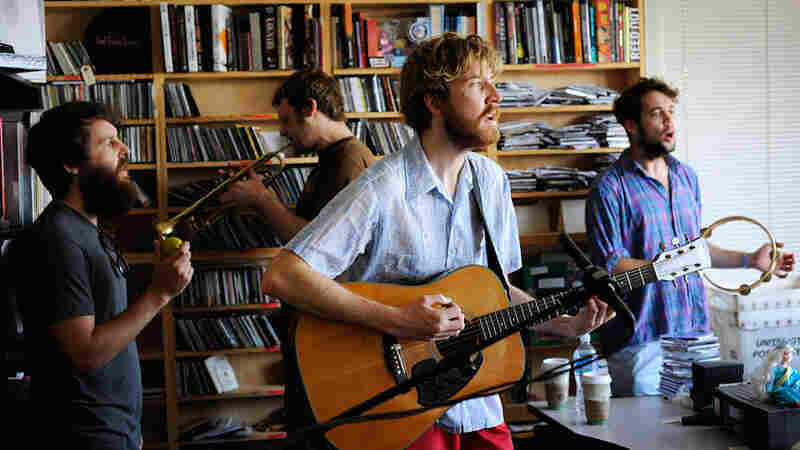 August 25, 2010  It's not quite right to suggest that Wilson transformed NPR Music's boisterous, slightly disheveled, certainly overcrowded office into a church on a Wednesday afternoon earlier this summer. It's more like he made us realize that church music can be played just about anywhere. August 23, 2010  The witty songs of Lawrence Arabia singer James Milne are good for more than just singing along: They provide a few chuckles, too. Here, the New Zealand band performs four songs from Chant Darling, which showcases Milne's great gift for poppy melodies and rich vocal harmonies. August 17, 2010  The duo exudes sentiment, but with a tinge of fury. The music comes straight from Peter Pisano's heart: He says five songs came to him in rapid fire after a long songwriting dry spell. How that happened remains a mystery to Pisano, but he found a voice he never knew he had. Watch Peter Wolf Crier perform songs from its debut album, Inter-Be. August 9, 2010  Staples is a legend, but she's not stuck in the past. 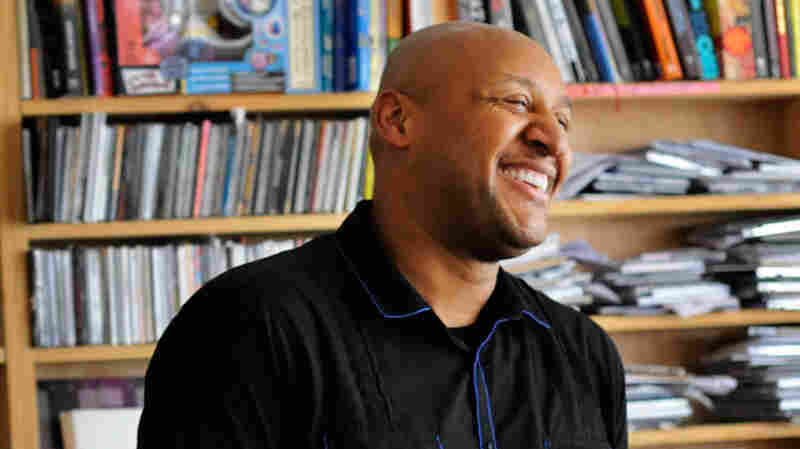 While most know her work with the Staple Singers in the '70s, with hits like "Respect Yourself" and "I'll Take You There," Staples has kept active. 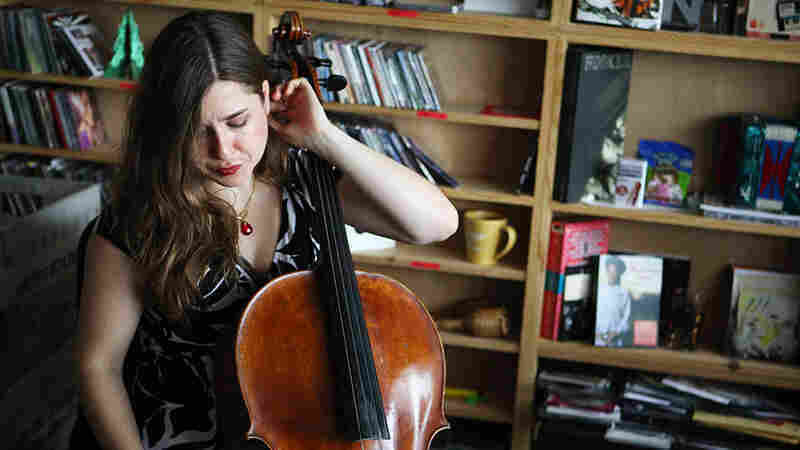 Her latest album, You Are Not Alone, was produced by Wilco's Jeff Tweedy. 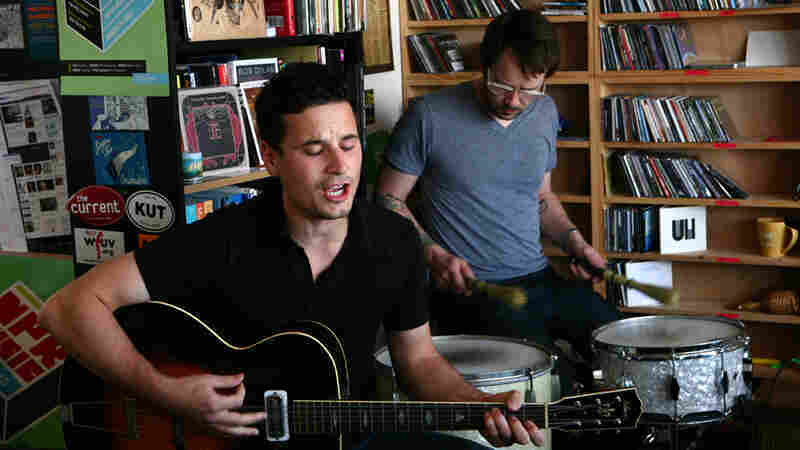 The record doesn't come out until Sept. 14, but you can get a good idea of what a treat it is from this stripped-down but soulful Tiny Desk Concert at the NPR Music offices. August 2, 2010  When The Holmes Brothers showed up to play a Tiny Desk Concert, the group arrived early — really early, and ready to work. 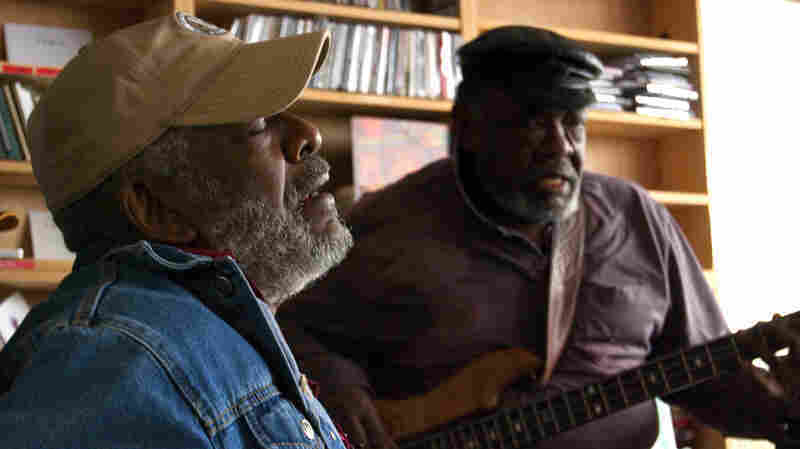 These folks are pros: They've been working at it for more than 30 years, playing soul music steeped in Baptist hymns, blues and spirituals. 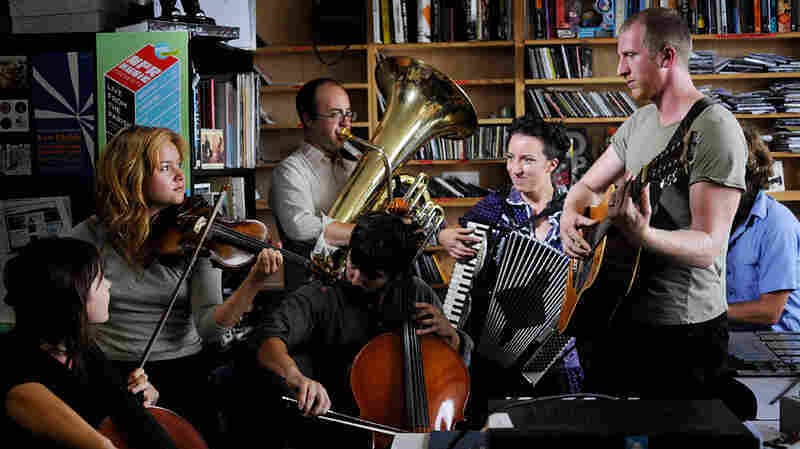 Hear the group perform live at the NPR Music offices. 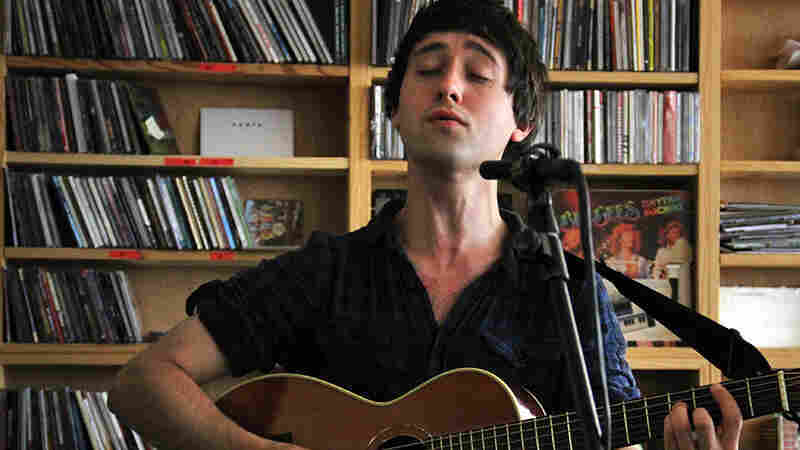 July 19, 2010  Conor O'Brien essentially is Villagers. The Dublin, Ireland, native played nearly all of the instruments on the band's debut album, Becoming a Jackal, and even did the cover artwork. 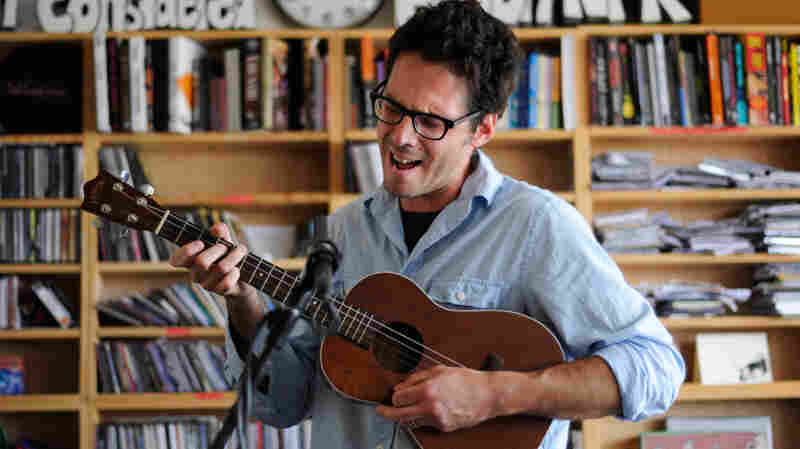 Though he tours with a full backing band, for this Tiny Desk performance he showed up with just his guitar. In the process, he treated the NPR staff to one of the most beautiful and memorable sets we've had here. 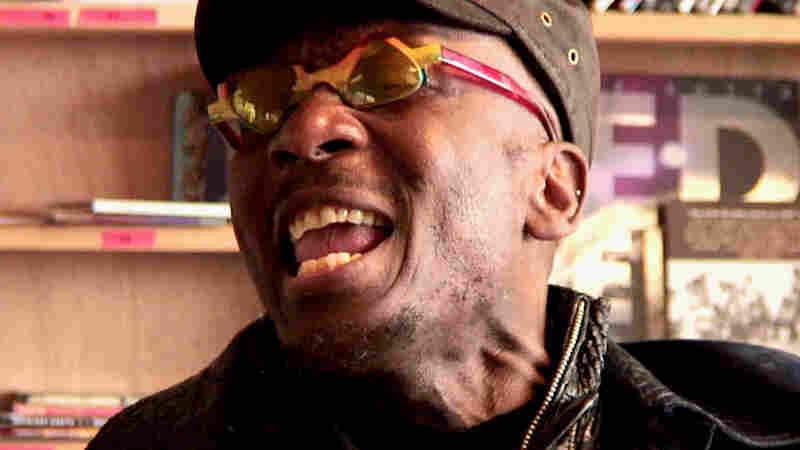 July 12, 2010  Reggae giant Jimmy Cliff is a gentle soul whose most legendary songs appeared on the soundtrack to the film The Harder They Come. In many ways, his aging voice sounds better than ever at NPR Music.